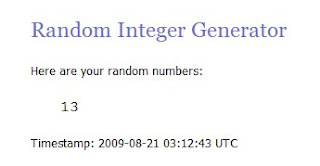 So, as I sit here, finishing off our last bit of Chocolate Caramel Cashew fudge in a late night binge that will surely show its ugly, chocolate-smeared face on the scale tomorrow morning, I figured I'd better get to announcing the winner of my last giveaway. You'll have an email from me shortly, Cheri! Congratulations! Have a great weekend, everyone. Next week, in response to your questions and comments on the photo I took in downtown Chicago, I'll have a post for you on my camera, lenses, and some general photography info that has helped me tremendously. What a great way to start my day!!! Congrats Cheri (said with a very sad and jealous little whiny voice) It's a good thing I love you so much and plan on you sharing that fudge with me when I see you, hmph! Remember, I'm the baby of the family and I'm trained well in acting like one.